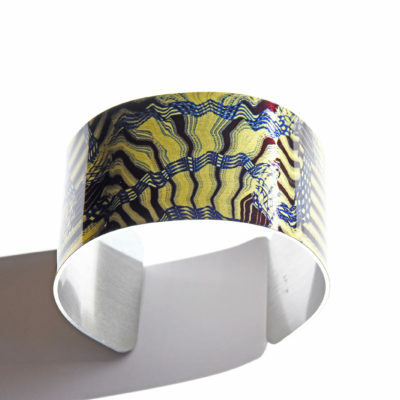 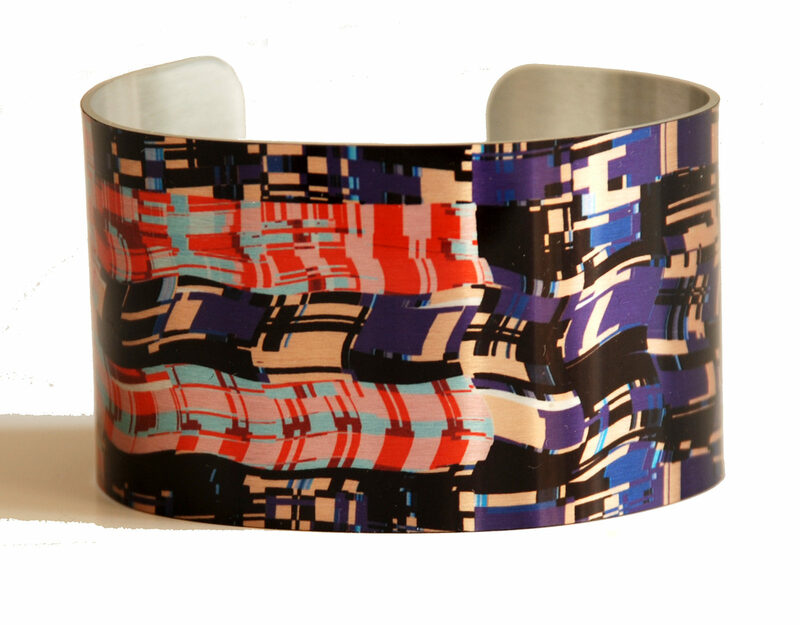 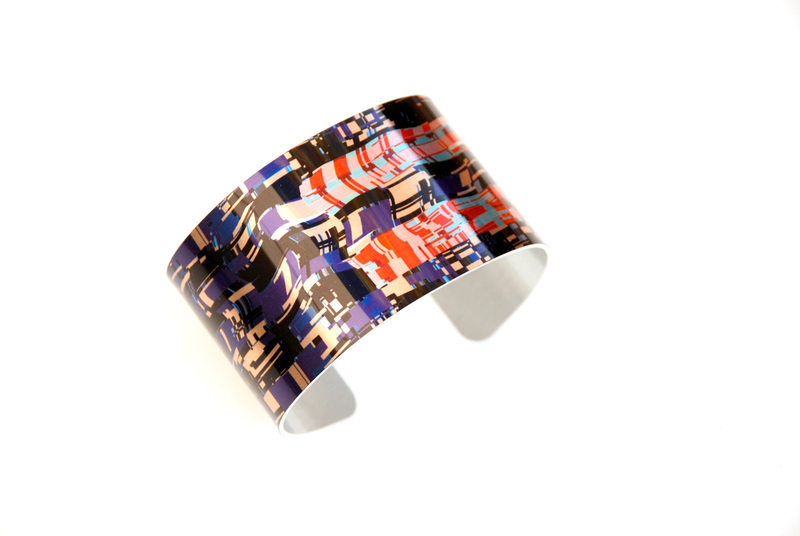 Aluminum Cuff Bracelet featuring SHADOWLANDS DESIGN’s bold original artwork. 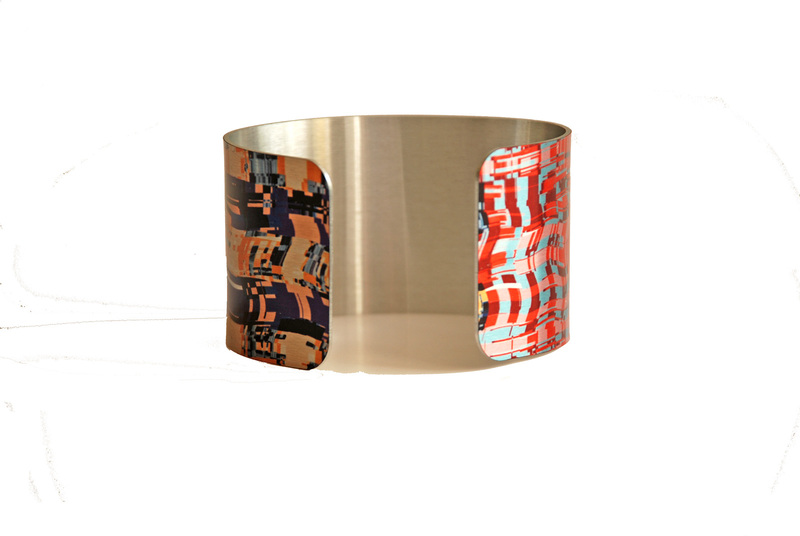 Luminous, light-weight & adjustable, this limited-edition aluminum cuff is a stunning piece for anyone who loves contemporary style and comfort. 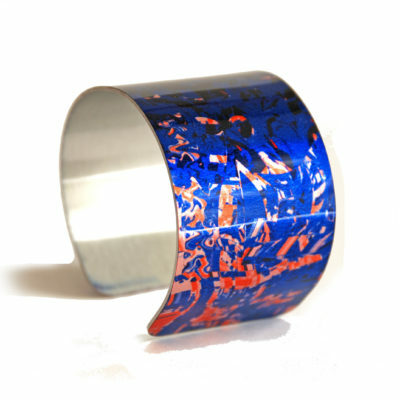 Special dye sublimation techniques on clear gloss aluminum produce these unique translucent effects.The perfect gift for someone special or a great treat for yourself. DIMENSIONS: 6.625in L. x 1.625in W. x 0.045in D.
CARE: Each piece is individually handmade, so slight variations in color & shape may occur. 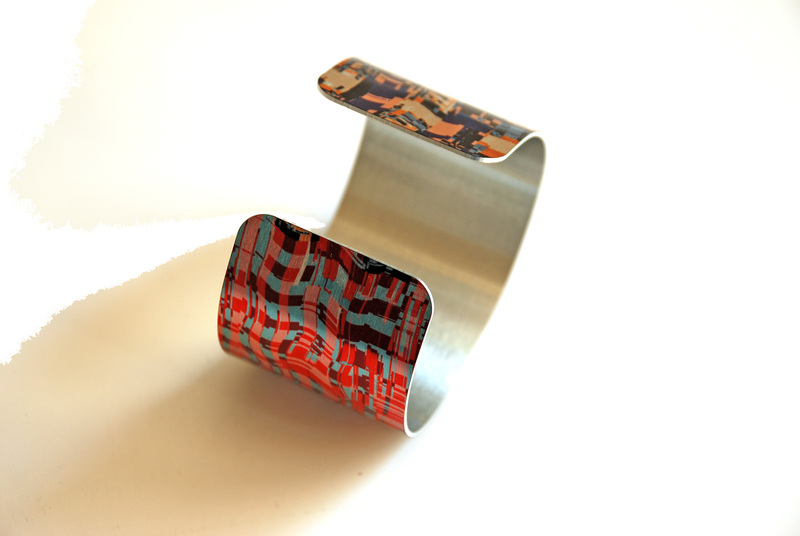 The cuff is adjustable & very flexible; to adjust for your individual fit, warm cuff in your hands, then squeeze sides or expand them till fit is just right for you. 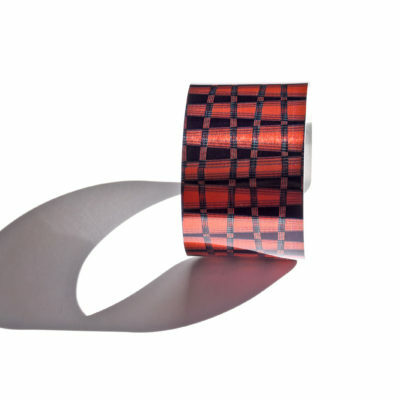 SHADOWLANDS DESIGN makes useful things that transform the ordinary, like these striking aluminum cuff bracelets. 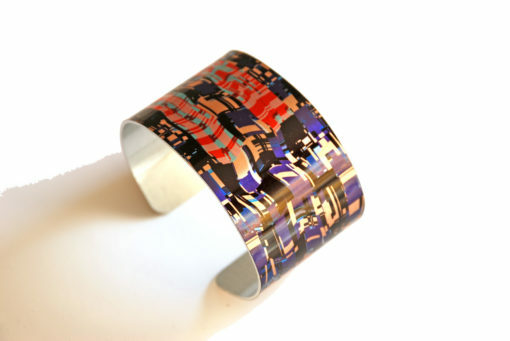 SHADOWLANDS DESIGN’s bold wearable art and functional items are inspired by the timeless landscapes Southwestern United States These cutting edge digital designs are created by Santa Fe-based artist/photographer Leah Siegel. 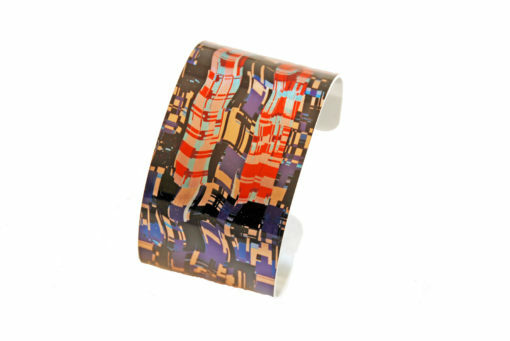 SHADOWLANDS DESIGN hopes you will be delighted with its eclectic merger of Art, Nature and Technology.